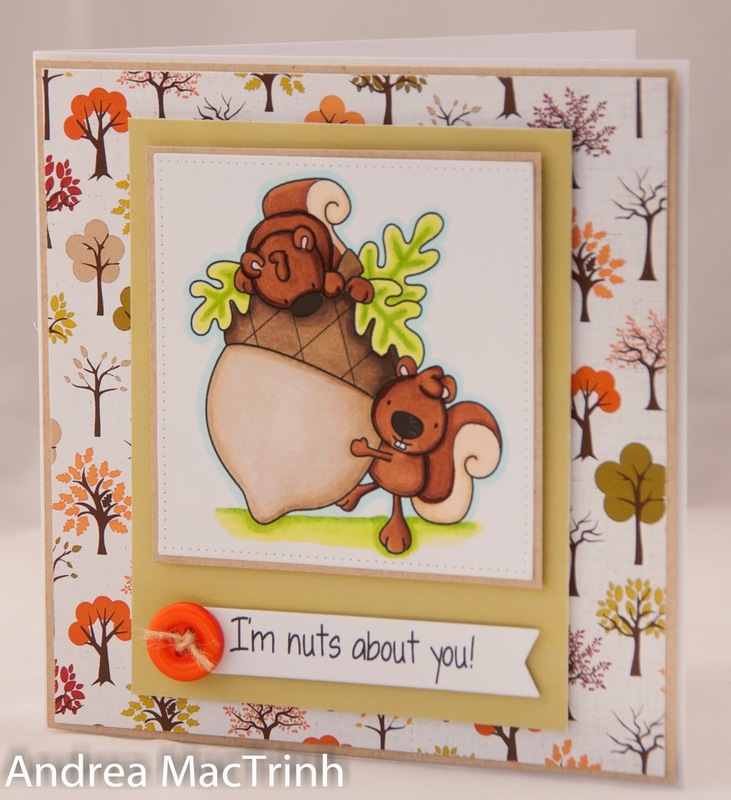 Wee Blue Swirls: Nuts about you! So I'm jumping seasons again and going back to an Autumn card today! 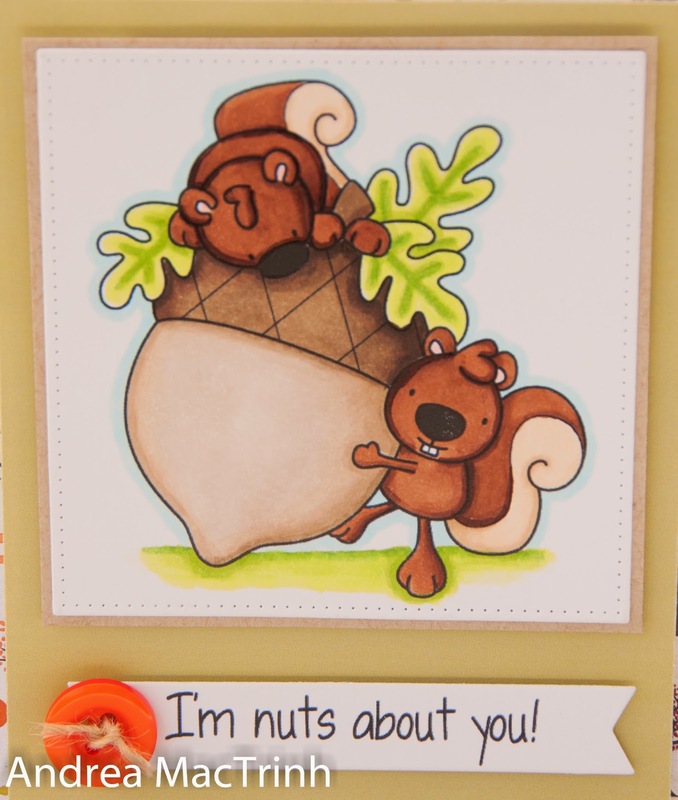 I used a digi stamp from Whimsie Doodles called I'm Nuts About You. I love their images. I love these warm Autumnal colours. If only the trees in Sydney looked like these in Autumn...sigh! This image was great fun to colour but took me absolutely ages! !....I'm still a learner with my copics. My inspiration for the colouring comes from Laura aka The Crafty Sister. Her colouring is absolutely amazing. Thanks for looking. Feel free to leave any comments so then I can come and visit you! Hi Andrea. Love the layout and design ... and the beautiful background paper is perfect to set off your adorable image. Thanks for joining us at ATS&M. OMGosh...this is just so cute, Andrea! Love that image with the fun sentiment! So happy you could join us at ATS&M! I love everything about this super sweet card - gorgeous coloring! Thanks for playing along with us this week at Addicted to Stamps and More!